Chick-fil-A on Georgia Southern’s campus offers Patrons that classic Chick-fil-A taste with a wide variety of favorites and excellent service. 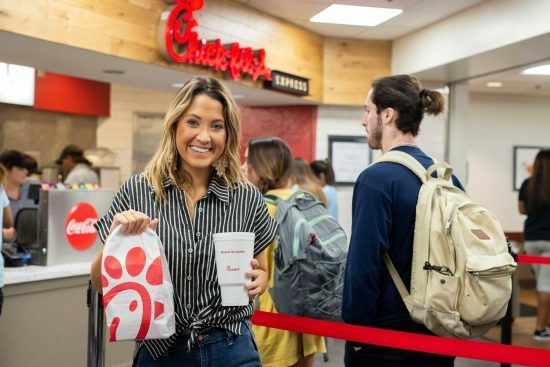 As one of the most popular dining locations on campus, students are always pleased to visit our Chick-fil-A location in the Russell Student Union to grab a great meal and hang out with their friends. Our Chick-fil-A has won awards for highest sales in the college division for any campus in the US for 2003, 2005, 2006, 2007, 2008, 2009 2010 and 2011.